Posted on 11/4/2014, 5:15 pm, by kittykill, under Tute Tuesday. Being a crafty person, I know that I need to get a jump start on holiday presents. I have a long list of people to craft for so the sooner I get to crafting, the better. The one problem that I run into is what to make for everyone. I also like to have a few extra presents for last minute get togethers. 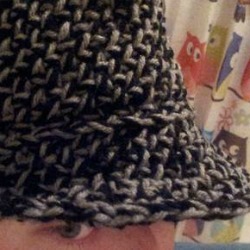 Wizards Pupil shares her tutorial and pattern for a Crochet Fedora. This hat is so stylish. It is the perfect gift for those people who are hard to craft for. Check out our Crochet board for other gift giving ideas.